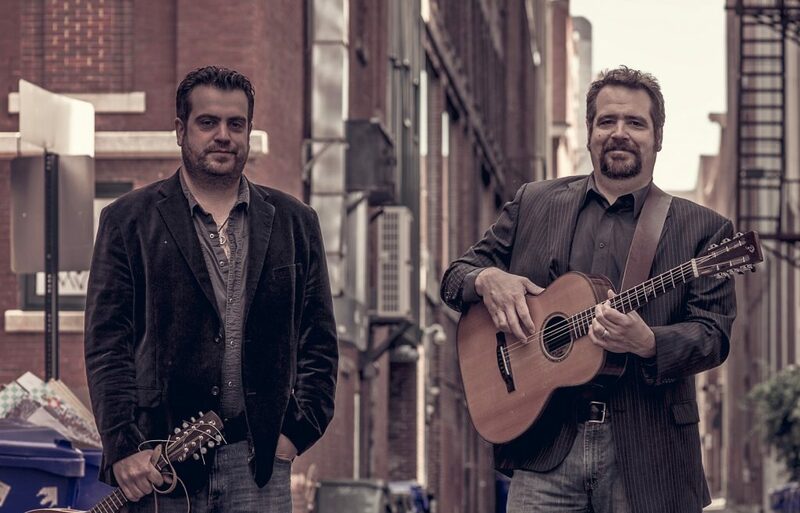 Liam and Mickey Spain are second generation singer / songwriters from the mill town of Manchester, NH. They grew up in a household steeped in folk music and musicians. Their father, Mike Spain, was a well known folk singer performing Irish and American Folk songs throughout the New England area. Mike, not only inspired the boys to perform, but he introduced them to the work of a myriad of artists, and educated them on the folk song tradition and its importance in society. Mickey and Liam began performing as a duo in the early 1990’s and soon garnered a following. Mickey’s rich baritone voice and Liam’s mastery of stringed instruments made them a very sought after act and led to the recording of two CDs. On one fateful night, the sons of legendary Irish folk singer, Tommy Makem, happened to catch their act. The two sets of brothers, quickly formed a bond over their shared love of the music and in 2002, Liam and Mickey joined forces with Shane, Conor and Rory and began touring as The Makem and Spain Brothers. It was during this time that the band highlighted venues and Irish festivals across the United States, up into Nova Scotia, on Caribbean cruises and across the sea to Ireland. They recorded four CDs along the way, and shared the stage with some of the greatest in the business. After years of touring, the lineup was reduced to four but the act continued on without missing a beat. In 2011, an idea suggested by Liam a few years prior, became a reality when the boys began recording two compilation CDs titled, Sessions, Volume l and Sessions, Volume ll. This project brought the brothers together to record with folk icons such as Tom Paxton, Noel Paul Stookey, Roger McGuinn, Dave Mallett and Bill Staines to name a few, and it gave birth to an annual concert held in Liam and Mickey’s hometown, called the NH Folk Extravaganza. In 2013, the lineup, again, was reduced by one, leaving Liam, Mickey and Rory to perform as the trio Makem and Spain. The new lineup continued to tour and promote their final cd offering, Four Pounds a Day until 2017. After 15 years together, the band decided to part ways. Liam and Mickey have now returned to performing as a duo, concentrating on original compositions as well as traditional and contemporary folk songs.